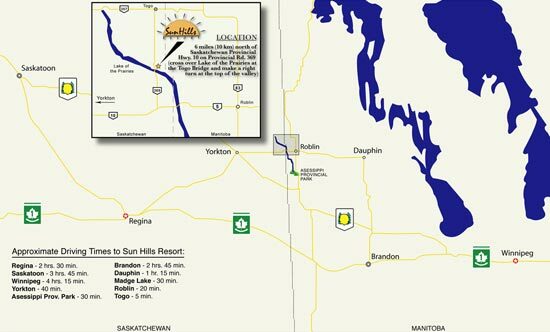 Sun Hills Resort | Lake of the Prairies, Saskatchewan | Visit us for a day, stay for a lifetime! 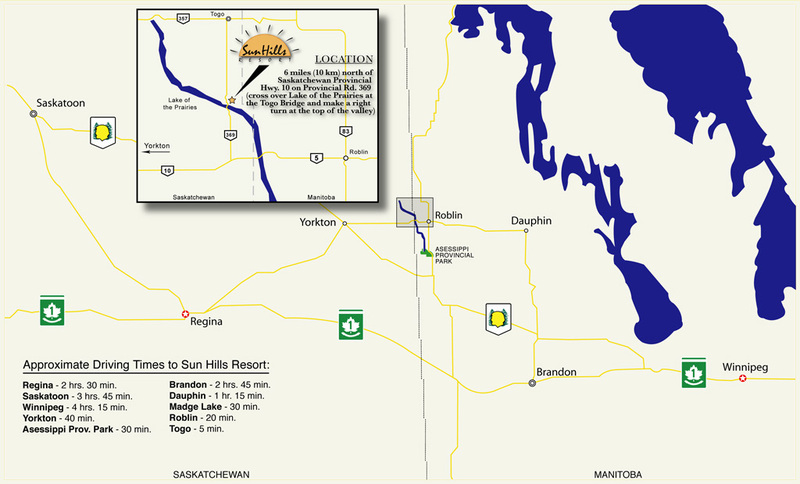 Sun Hills Resort is the Parkland region’s brightest new resort area and the first major lakefront development of its kind on the Saskatchewan side of renowned Lake of the Prairies. If you’ve been trying to find the perfect location for your dream home, summer home or retirement getaway, look no further than Sun Hills! A panoramic southern exposure allows for maximum sunlight year round and offers a front row seat to breathtaking sunsets and sunrises over the lake and a spectacular view across the Assiniboine Valley. Seeing truly is believing at Sun Hills! Titled lots now selling from $59,000 to $89,000. Average lot size is 90 feet x 200 feet (0.4 acres). 22 Horizon Drive, Sun Hills Resort. 3 bedroom, 2 bathroom, 1800 sq ft home. We are proud to announce the development of the Sun Hills Trail system. Although there are many properties at Lake of The Prairies to choose from, we felt our best value would be at Sun Hills Resort (and we feel we made the right choice). For the past two years we have enjoyed the exceptional views, landscape and the abundance of wildlife immensely. Another aspect that we really appreciate is the fact that Konrad and Claudia Zangl are so good to work with, if you want to make any improvements to your property, just ask! You just don’t have that freedom with other resorts. We strongly recommend this resort for those who appreciate nature but still are accustomed to all the comforts of home. In our opinion Sun Hills Resort has it all! The view is spectacular at Sun Hills! Love the fact that it is off the “beaten path”. Quiet and peaceful and allows us to enjoy the wildlife. We have enjoyed camping on our lot for the past 3 years and are now very excited about building our retirement home there. Konrad and Claudia are always friendly and easy to work with. The good fishing is a bonus!! The first time we visited Sun Hills Resort at Lake of the Prairies we knew we wanted to be a part of this unique development. The peaceful natural surroundings, the breathtaking view of the Assiniboia river, and the abundant wildlife seen in their natural habitat was just what we were looking for. We look forward to the further development and changes that are planned with much excitement. For anyone looking for a quiet getaway from their busy city life, this is the place. From the moment I saw the Sun Hills website I knew that I had found what I was looking for. I had been looking for years from BC to Manitoba for a lake property that would check ALL the boxes on the wishlist... Beautiful lake with lots of trees and wildlife, great fishing, water sports, lots of hiking, quading, snowmobiling and nature watching, and golf (the golf course has been cleared and I hiked it this summer and it is breathtaking!) all from your very own property. Also affordability and owning your own property NOT leasing, and much less property tax than other provinces, this is truly an amazing place to be! This is the only south facing development on the lake and I love the southern exposure for my home and yard. Every season is so beautiful and special in its own way with all sorts of wildlife to watch and every imaginable recreational activity that you enjoy! Livin' the dream! Sun Hills Resort Ltd. © 2018 | Lake of the Prairies, SK | All Rights Reserved.